Mode Junkie: THE SHOE PROJECT | PAIR NUMERO XXVIV- XXXII. i asked some twitter friends yesterday if i should do an outfit or shoe post for today and the majority answered shoesss, so here you go! all of these shoes are very unique and out of my comfort zone but i love each and every pair so dearly, i cannot even decide which one i love the most. OR I DO. the hello kitty sneakers are like a childhood dream come true. it´s not a secret that i love this cat. you may think i am crazy but when i wore them yesterday i couldn´t help but prance a bit like an old lady prancing in her new chanels. I Liveeeeee For Pointed Courts! Die Schuhe sind richtig toll und diese Linse ist wirklich mal was anderes! ich mag die Aufnahmen damit total. very cool :) the Hello Kitty ones are SO cute! 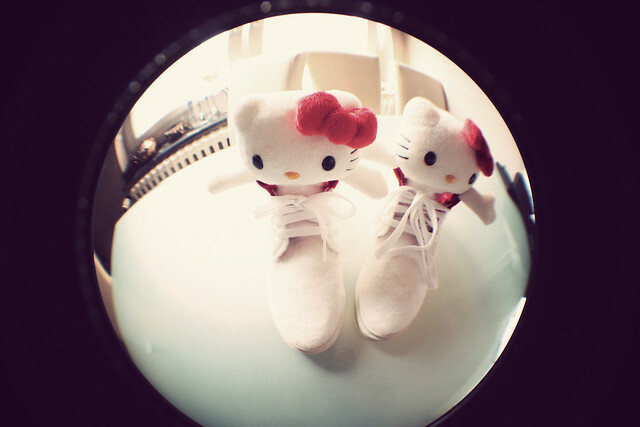 Super cute Hello Kitty shoes :) Love the look of the photos. Love all those ALDO shoes! All the shoes are beautiful! Love both the Preen ones so much! 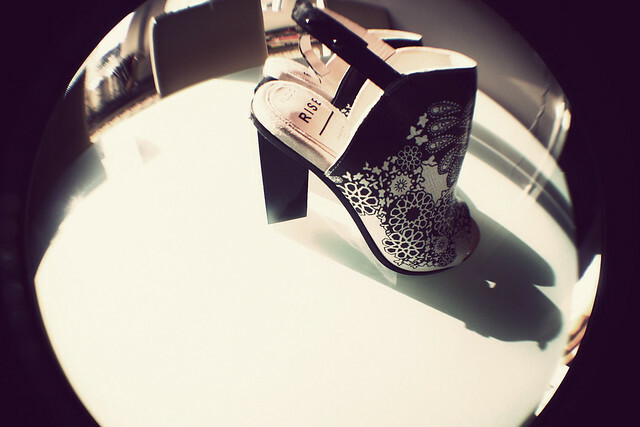 ulala you crazy shoe addict ;) and love the fisheye lens. so much fun! oh my goodness! thats a whole lot of beautiful shoessss! in love with this sneakers!!!! Oh my goodness, those are amazing sneakers! so coool. 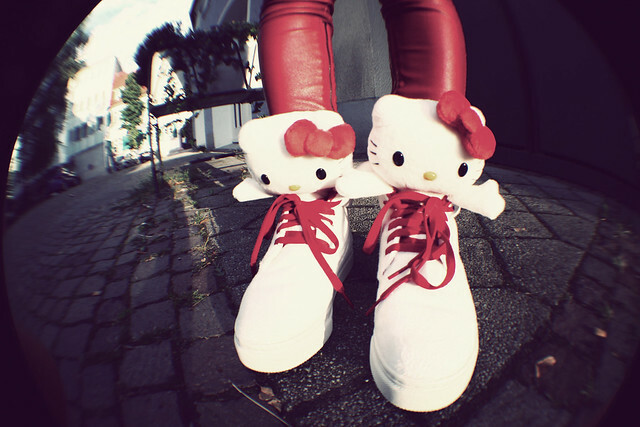 The Hello Kitty's are awesome :)! flowery one are amazing, and hello kitty are cute! Wow, diese High Heel Collection ist ja der Wahnsinn! Wirklich schön - jedes Paar ein Hingucker! Very very nice the shoes!! Lovely high heels!! jealous!!!!! you have the best shoe collection!! !